Alfred Reginald Allen (1876-1918) was a prominent Philadelphia neurologist and neurosurgeon. He was also heavily involved in Philadelphia theater scene, writing numerous comic operas, and was a founding member of the Savoy Company. In 1915 he enlisted in the Army Reserves, eventually achieving the rank of Lieutenant Commander. 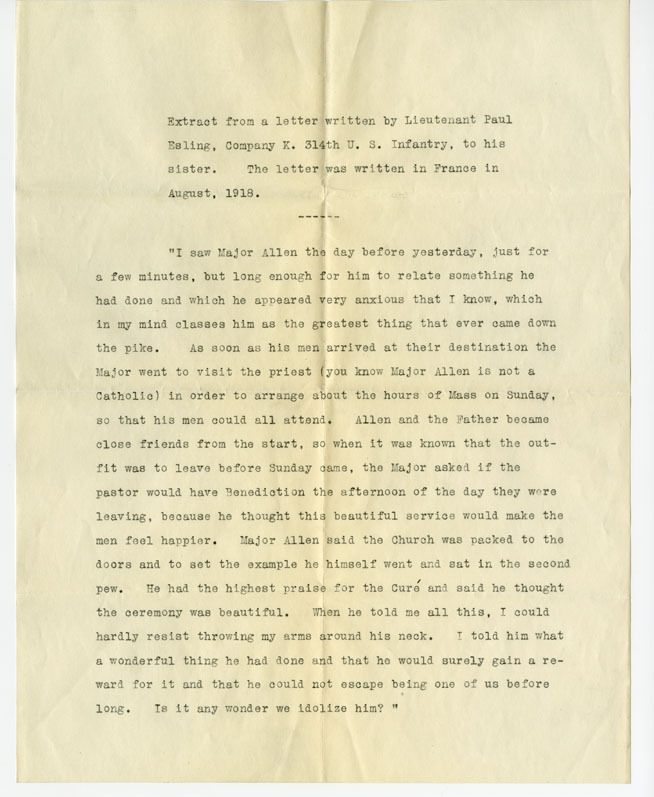 In this letter written from training camp to his father, Rev. 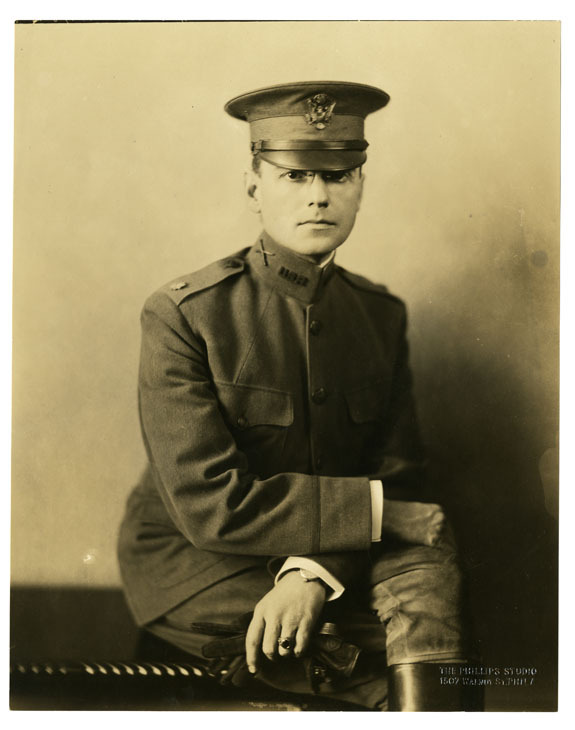 George Pomeroy Allen, Allen explains a little bit about why he left a successful life as a doctor to risk his life in a war unlike any seen before. "...I felt that the country was drifting inevitably into war and I wished to be as highly trained as possible for when the time should come." In the summer of 1918 Allen’s reserve unit was called into action. He was killed in action on September 30 in the Battle of Argonne. Here is the official telegram sent to Allen’s wife, Helen Warren Allen, informing her of her husband’s death. 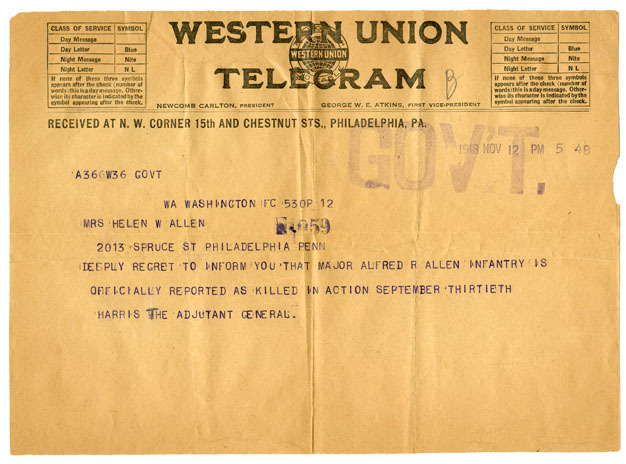 Note that the telegram is sent over a month after Allen was killed. I can only imagine the anguish that the Allen family, and indeed families all across the country, must have felt while waiting for official word about their loved ones. 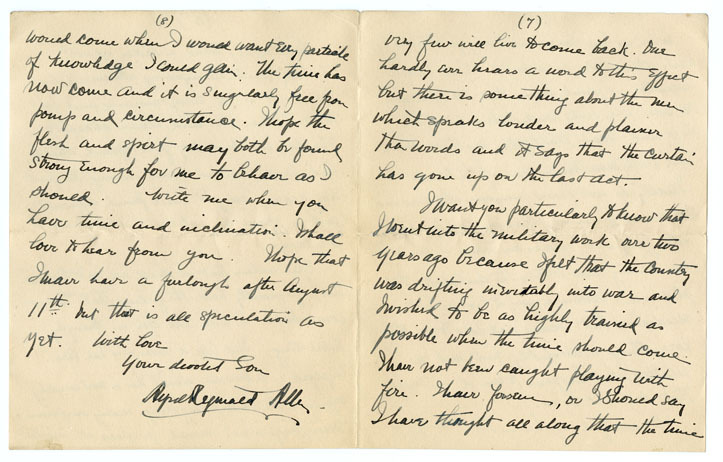 After Allen’s death many of his troops and colleagues sent letters of condolence to his family. Here is just one of those from an enlisted man under Allen’s command. The Allen Family Papers is a rich collection with many stories to tell. This particular facet is especially significant as we celebrate Veteran’s Day. Frederick C. Penfield papers (# 1752) document, in letters and photos, life in Austria-Hungary during World War I. Committee of Public Safety for the Commonwealth of Pennsylvania records (# 1551) offers extensive information about the war effort on the home front and attempts to provide assistance for people and businesses in Pennsylvania. South Philadelphia Liberty Loan Committee records (# 217) document local war fundraising activities through correspondence, ephemera, and other materials. Carlotta Herring Brown collection (# 83) contains journals and notes documenting World War I.
Philadelphia War Photograph Committee collection (V 03) documents participation in the war on the home front. These are just a few of the collections illuminating World War I’s impact at home and abroad. This week I spent some time working on the Joshua Humphreys papers (Collection 306). Born in Haverford, Pa. in 1751, Humphreys would go on to be the nation’s foremost naval architect in the post-Revolutionary era. In 1776 Humphreys was chosen by the Continental Congress to design the retrofitting of eight merchant vessels into battle-worthy frigates. These eight ships were the first military vessels of the United States. After the war, Humphreys pressed for an expanded fleet of ships that would be capable of not just defending the coastline, but also capable of going on the offensive in the open seas. In 1797, the frigate United States was launched and five more ships soon followed. These ships were the first all new ships designed for the American Navy and formed the backbone of the fleet during the War of 1812. The other ships were the President, Chesapeake, Constellation, Congress, and the Constitution – famously known as “Old Ironsides” and the oldest commissioned U.S. naval vessel still afloat. Several of the innovations Humphreys introduced on these ships, such as a knife-like keel to cut through the water and a bulging hull for added steadiness, were design elements used on ships well into the steam era. Humphreys managed to irritate several Secretaries of War and when Thomas Jefferson, who was opposed to the idea of an offensive Navy, was elected, Humphreys was “asked” to retire in 1803. His son Samuel however was also a naval architect, and Humphreys managed to stay in the business through his son, albeit in a less official capacity. 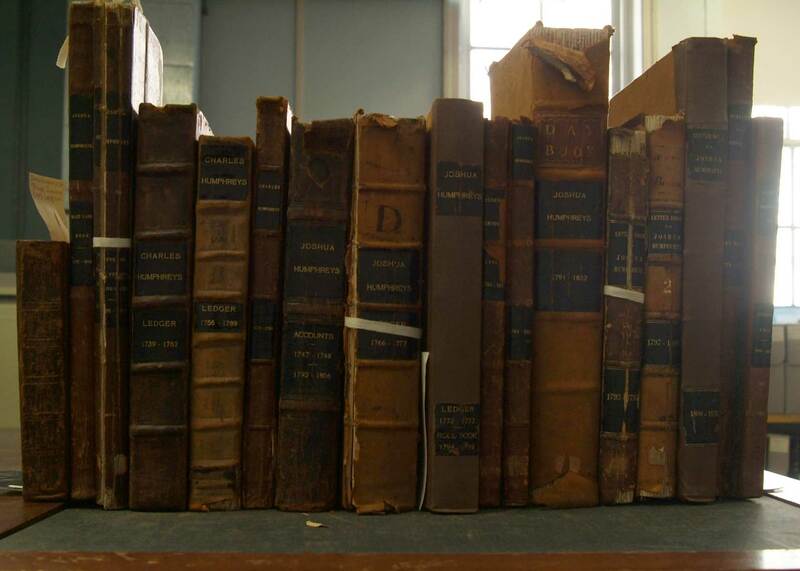 The collection consists of Humphreys’ daybooks, ledger books, and letter books. Taking a look at these, I suddenly became very grateful for all the computer accounting and financial management software out there (I myself swear by Quicken). 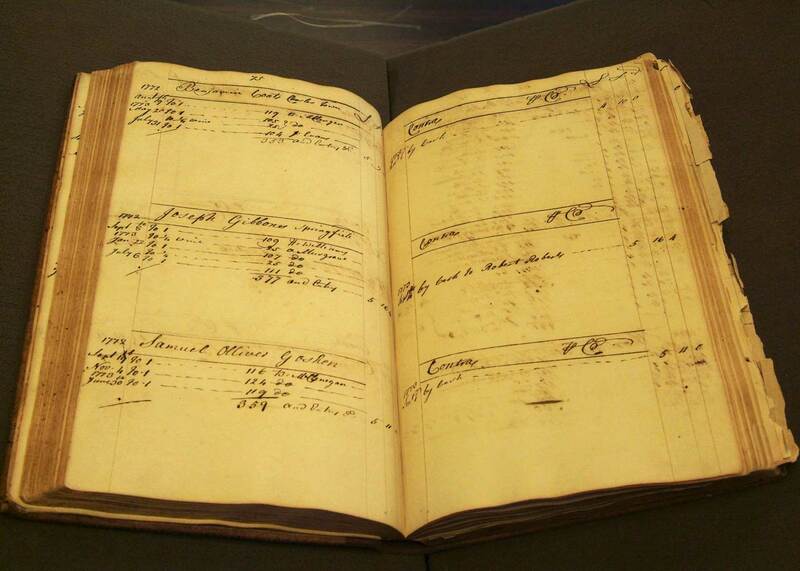 In the late 1700’s, managing a business meant one had to be very methodical to keep all these records by hand. 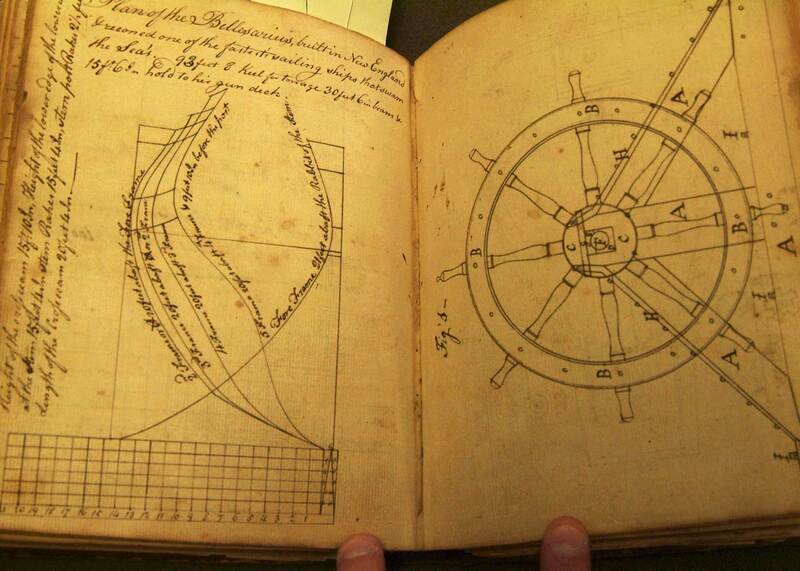 Though most of the collection consists of financial record keeping, there were also some instructions on how to build ships and some hand drawn diagrams too. 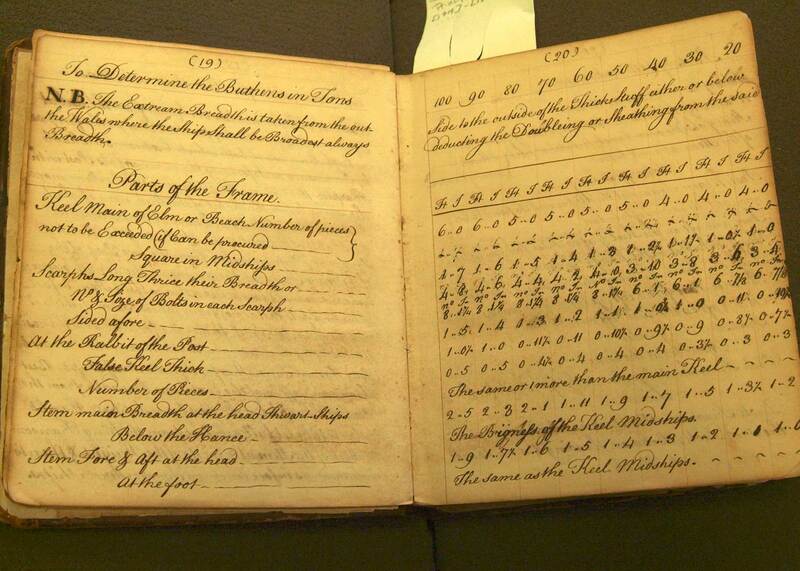 Also in this collection was the daybook of Charles Humphreys, Joshua’s brother and a member of the First Continental Congress. When I opened this book, many small scraps of paper literally came bursting out. 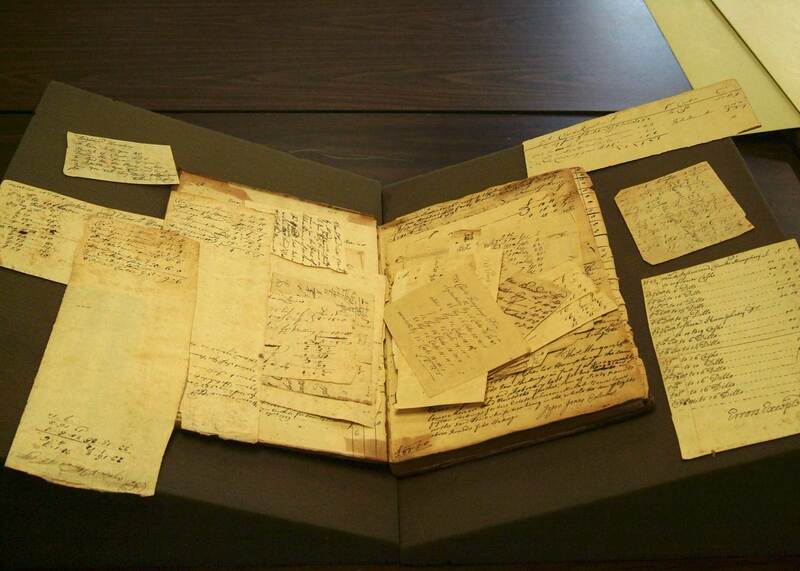 It seems Charles did a lot of his record keeping on small scraps of paper, sometimes tearing personal letters up and using the backs to do some quick math. Perhaps he was the less organized of the two brothers. Finally, while doing some background research on the web, I came across this most interesting site, WarDepartmentPapers.org. It’s an interesting project with lots of fascinating documents. Anyone interested in early American military history must check it out.